^ still isn't feeling too good! < hasn't eaten yet and still has to cook it! v thinks< should get moving before it's too late to eat! < doesn't want to think about food yet! v will get something quick and easy for today's meal. ^ isn't feeling well enough to think about food! < is cooking chilli and rice! v couldn't face chilli at the moment! ^ having a nice supper going! v wouldn't want to upset <'s delicate tummy further. ^ was watching TV last night! < likes to watch comedy programmes! v has been trying to get well! ^ is healthy and fit! v has less windy conditions < hopes! Last edited by george_on_cloud9 : May 28, 2009 at 03:06 AM. v might have the answer! Last edited by Esmirelda : May 29, 2009 at 10:36 AM. 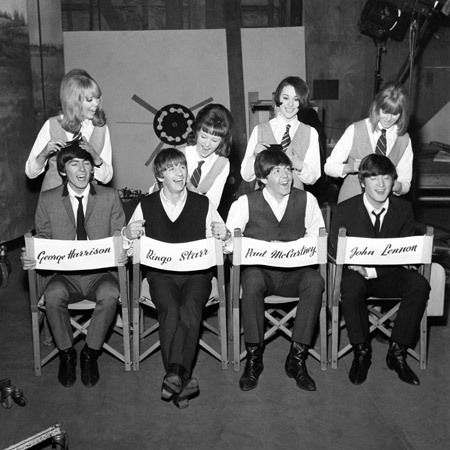 ^ is looking forward to getting the Beatles Trivia Game! < is thinking she may have to get it too! v is looking forward to a nice weekend! ^ is certified to perform CPR! < is qualified in CPR! v is having good weather! ^ has had a steak or two over the last few weeks! < has been getting her new phone organised! v is having a quiet day! ^ got her phone up to par!